A little while ago a had a run on investing in verious kickstarter projects, one of which is the PrintDry. It’s a bit like a large food steamer that works in reverse, heating up and drying out rather than steaming :). 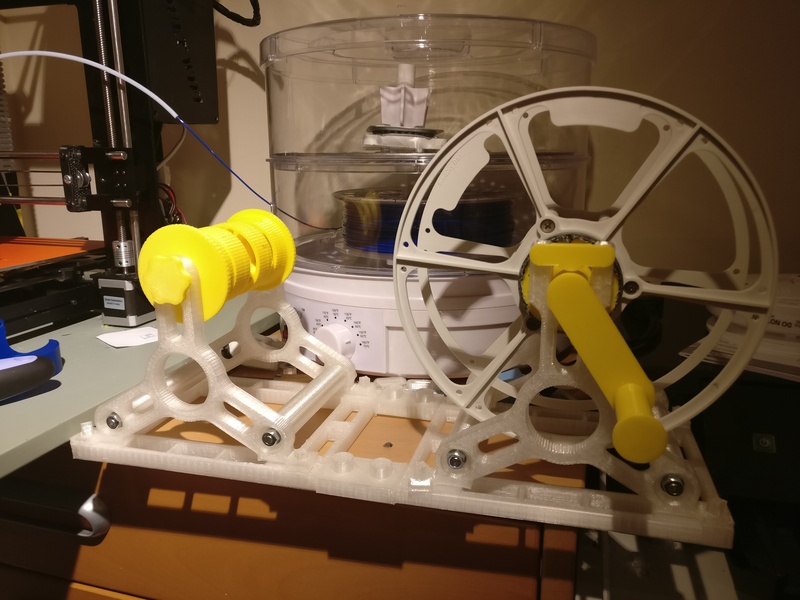 As you can see, you can feed your filament straight out of it, which is useful, both in terms of feeding nice dry filament, but also as it takes so much space!. 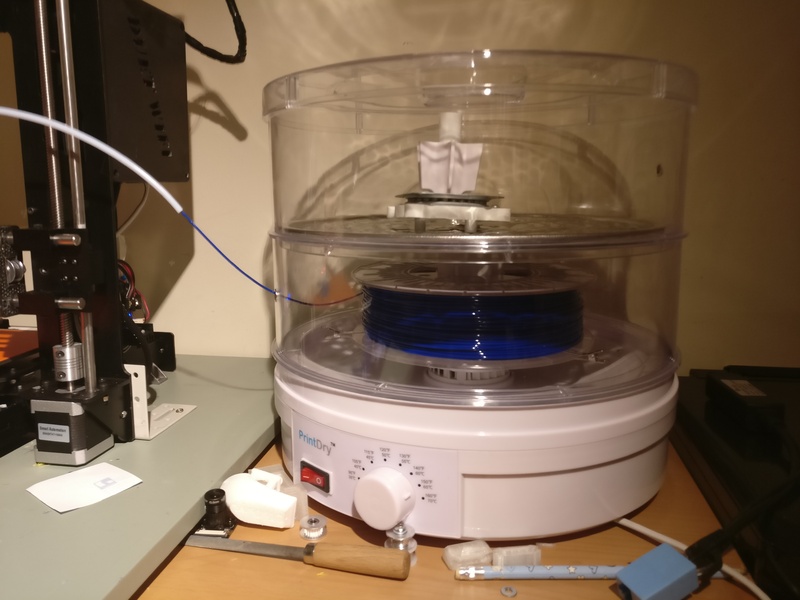 When putting your filament in, it helps to use open reals that allow air flow, but as most suppliers seem to use nonstandised bobbins of verious sizes and diameters it comes with some nice open spool, and a tool to transfer you filament. I got the stl’s to build the de-spooler tool, so it took a little time to build. But it was worth it, not only for what i learned in the process, but the fact I’ve built a fully useful item with my 3d printer. In case you want one too just look up PrintDry. Note: this isn’t a full endorsementand i don’t getting any credit for sharing this, just thought it’s a cool addition to my growing gadget collection.